Just like you, we don't like half measures. That’s why we offer a wide range of high-quality skirting boards and finishing profiles to complete the look of your new Quick-Step laminate flooring. Quick-Step is the only manufacturer to offer skirting boards with perfectly matching colours for every floor. 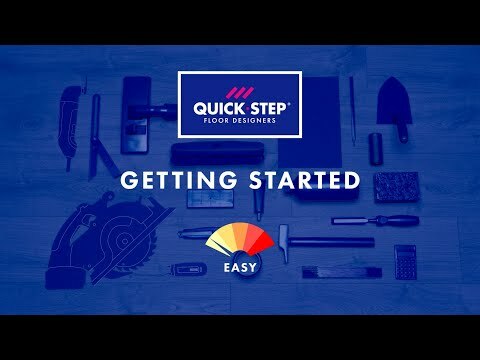 All Quick-Step skirting boards and profiles are developed in-house to ensure easy installation. 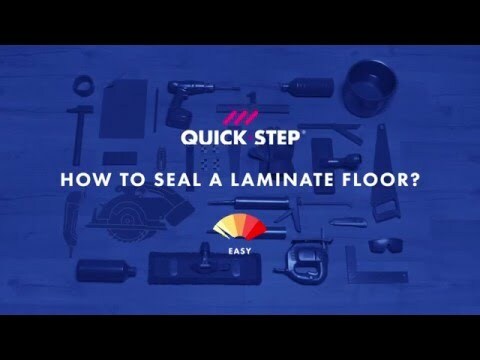 While most skirting boards on the market are finished with paper or foil, Quick-Step only uses real laminate. This makes the boards much more scratch-resistant and protects them against everyday wear and tear. Pick and choose from a variety of high-quality skirting boards that match every floor and style. Just like the Quick-Step range of flooring, all skirting boards have been quality tested, so you can benefit from the full Quick-Step guarantee for years and years without worries. Thanks to the patented Incizo technology, you can easily cut this skirting to a 4 cm skirting. The supplied connecting pieces will help you to neatly join all skirtings along the wall, but also in inner or outer corners. With the easy-to-use Quick-Step Incizo profiles, you can give your laminate floor and staircase a perfect finish. No matter what Quick-Step floor you like best, there’s always a perfectly matching colour available. One and the same profile to fit all situations: simply cut the basic Incizo profile to the required shape with the supplied slitter. And did we mention that they are extremely scratch-resistant as well? The patented Incizo profile is extremely handy to give your floor and stairs that perfect finish. You can use one and the same profile for all finishing situations: between two floors of the same height or with difference in height, as a transition to a wall, window or carpet, ... . Simply cut the basic Incizo profile to the shape required using the supplied slitter. For application on stairs or steps, please order the Incizo aluminium subprofile for stairs separately. Profile in wear-resistant aluminium to bridge height differences from 0 to 12.3 mm. To be used for instance between 2 Quick-Step laminate floors, between 2 Livyn floors, or between a laminate or Livyn floor and another lower or higher floor. Patent pending. Thanks to the patented Incizo technology, you can use one and the same profile for different finishing situations: between two floors of the same height or with difference in height, as a transition to a wall, window or carpet, ... With the supplied handle you can create the desired profile. This aluminium profile is suitable for commercial use. Installation with aluminium subprofile, plugs and screws included. Not suitable for application on stairs or steps. 1 - How can I join two floors of the same height? Use the Incizo profile cut as an expansion profile. 2 - How can I solve variations in height from one floor to another? Use the Incizo profile cut as an adapter profile. 3 - How do I finish my floor along a wall or a window? Use the Incizo profile cut as an end profile. 4 - How can I connect my floor to a carpet, and have a beautiful finish? Use the Incizo profile cut as a transition profile. 5 - What about the finishing of my stairs? You can cover your stairs or steps with Quick‑Step planks and finish in the style of your choice with the Incizo® profile as a stair nose. Still have the feeling something’s missing? Try these extras for that much-coveted extra touch or to make installation and maintenance even easier. 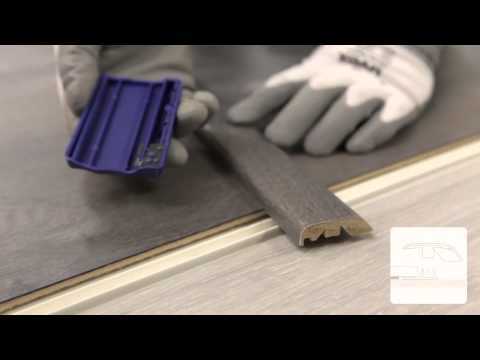 Clips for the installation of standard skirting boards. 6 to 8 clips are needed per skirting board of 2m40. Install the clips at the same time as your floor. No glue or screws needed. Skirtings can be removed at all time. Not suitable for 12 mm floors. The Quick-Step Doormat neatly fits in your hallway. The brushing zones help prevent sand and dirt from coming into your home. In addition, the mat helps to avoid wet footsteps in your hall. The doormat fits seamlessly in a strong aluminium frame that is countersunk into the floor. It’s easy to install and clean. A very elegant and practical solution.